Jaipur is the capital city of the Indian state Rajasthan. There are many tourism destinations in Jaipur. Out of those, one of the most visited and historic place is the water palace of Jaipur. 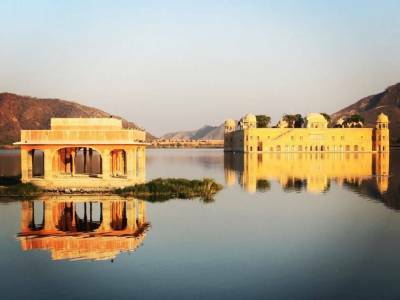 It is commonly known as the Jal Mahal that literally translates to water palace. This architectural magnificent is built on the Man Sagar Lake named after the famous Rajput king of Jaipur, King Man Singh. 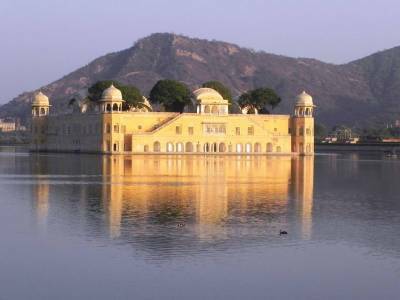 The palace is a submerged palace at the centre of the lake only two of its kind in the whole Indian sub continent. It's the largest water palace in the country. Being in the centre of the lake, the Jal mahal is a quite a serene place with a lot of perks. Historically it is an important freestanding establishment built by Madho Singh of Jaipur, in the 1700s of Common Era. It was later expanded, renovated and beautified by Jai Sing II of Amber in the 18th century AD. He made proficient efforts to make the palace more stable and make the lake embanked. The palace is an exceptional construct in itself. Built with the modest sandstone and mortar is a sight to behold. What is the most curious fact is that the palace may look like a one storey building but in reality, it s a five storey one. The engineers of those times have made it submerged in the lake up to 4 storeys. It was a great idea but it also made the palace get damaged due to water seepage and rotting. 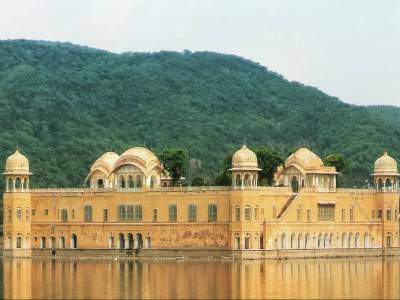 It was under the recent endeavour of the Rajasthan Government that renovation and conservation of the Jal Mahal was done to restore to its former glory. The tourists are always attracted to this marvel and it is easy to reach being at the centre of Jaipur. 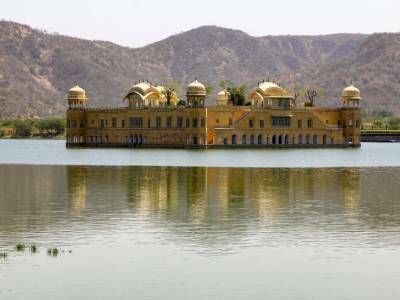 The Jal Mahal Palace can only be viewed from the shore as the inside entry is restricted due to its partial seepage and water logging. 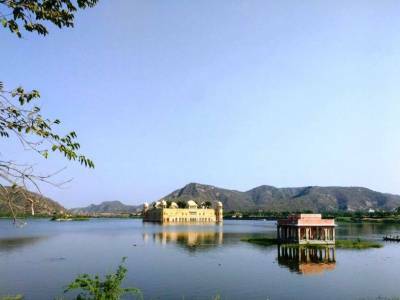 Get quick answers from travelers who visit to Jal Mahal.